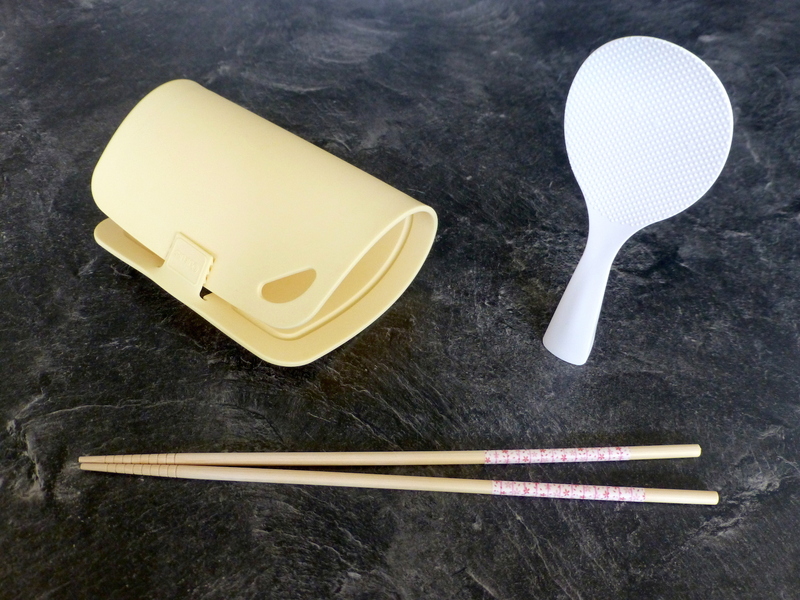 Three of my favourite Japanese kitchen tools • Quick & Tasty - Get Cooking! The apartment where I stayed in Japan had a kitchen but no pots, pans, cutlery or anything. So I had to go and buy everything — great fun when you’re jet-lagged. I went to a supermarket and bought amongst other things a very sharp knife (partly showing on the banner of the recipes page), a great versatile microwave pot (featuring on the banner of my post about the microwave), and the cheap-but-beautiful black-and-red bowls. 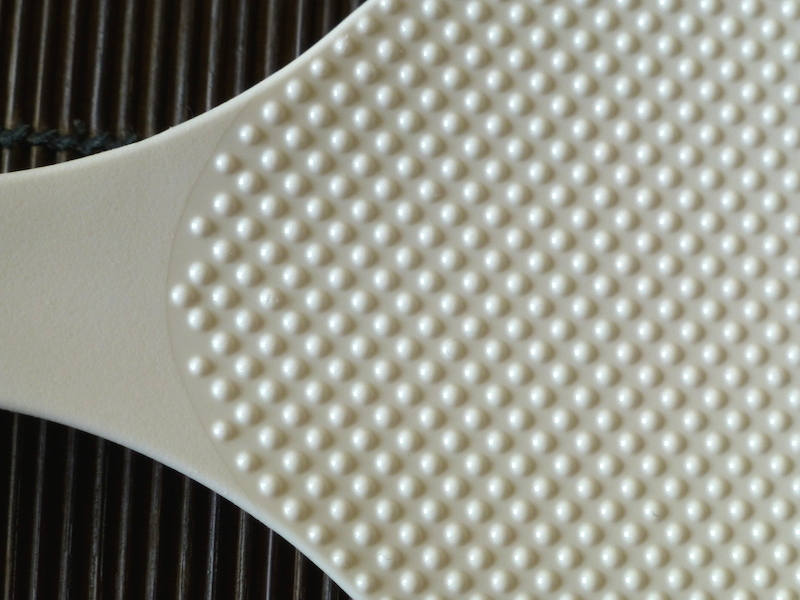 This mat contains a phytoncide, an antibacterial organic compound derived from plants. To kill all the germs you simply put it in the microwave for a minute. And it can go in the dishwasher as well. You can buy it on line, just search for “phytoncide cutting board”. Long chopsticks are great for cooking pasta or noodles. No risk of burning your fingers and handier than a fork too. 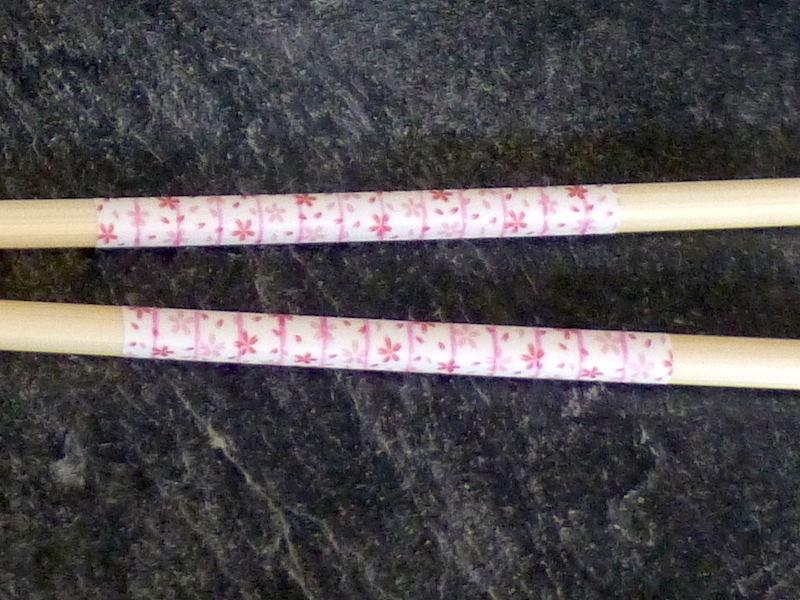 You can easily find plain ones but I liked the sakura decoration (cherry blossoms), and it actually has ridges for a better grip. Japanese rice is different from other rice in the way it sticks together: when properly cooked, each grain is still quite firm but the grains have a sticky outer layer. That’s why every Japanese kitchen has a rice scoop like this, with little nobs that stop the rice from sticking to it. The scoop can be put upright on its handle, very nifty!